qZeek serves most advert agency segments including full-service, general-line advertising agencies, and also agencies those are specialize in particular kinds of advertising such as: classified, yellow pages, recruitment, help-wanted, medical, industrial, financial, direct-response, retail, investment, travel, entertainment and so on. Interactive agencies may differentiate themselves by offering a visually appealing ads giving greater ROI for investor. Virtual geography also has key role in advert marketing via web design, search engine marketing, eMail marketing, internet advertising/marketing, or running a PPC campaign. Create – Resize – CorrectAdvert design varies by geography, market demand, media it is being published on, audience and most importantly by who is publishing. This increases efforts and hence the advertising as well as the marketing cost. 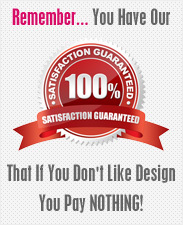 Offshore design outsourcing is the right solution to reduce cost without compromising quality of Ad Design. qZeek provides effective advert design services for print and digital media by using different elements of design, layout, positioning, content and marketing IQ in the design. All the adverts are custom designed to match with given specification and display needs. Our skilled designers have insight into what design will work best with newspaper ad, magazine ad, newsletter ad, mailer ad, catalog or brochure ad, mobile adverts and website textual-graphic-animation banners or adverts. qZeek also offers advert template design services which help businesses reduce production time for later use and so cost. Online Display Advertising, Web Sites, Web Banners, WAP pages, Facebook Fan Pages, Twitter Pages, Youtube Channels and more. High quality and visually attractive Mobile Ads across all platforms. Periodic publishing – Promotion publishing Newsletters and circulars are great ways to keep your contacts informed about your product or services. By sending periodic reminders, you establish your brand and convey your professional customer centric approach. For that need, you require talented graphic design team and typesetters who can generate visually appealing Newsletters design. You may like to design for print medium or an HTML that can be sent through email. qZeek also offers re-production of Newsletters, and circulars cost effectively depending on your application. Inquire Newsletter template design service for your ongoing needs. qZeek offers custom design for every delivery, delivered in file formats of your need, web upload assistance, satisfaction guaranteed. Enhancement – Masking – Cropping Stock images are good handy source of required images or photograph but not always true to suit your needs. Don’t you remember a situation when you wanted to crop a photograph, change a background, apply tone / filters, add mask on picture, play with contrast or lightening, removing blemishes etc. for your adverts on print media, web and mobile network? qZeek team is specialized in handling all of these requirements with the help of technology advantage, sense of creativity and wide experience. You may also ask to create image in vector form by sending physical or scan copy of graphic. Design – Approve – Get report qZeek provides you with unique email marketing service which is scalable, easy-to-use and fast. Businesses choose our email design service to easily create, send, socially share, database driven email campaigns and surveys. Our reporting features help you improve your email marketing productivity and drive ROI. With our expert designers email designs can be made responsive, which further helps optimize messaging for handheld devices to further increase customer engagement, providing greater marketing efficiency. You provide us content along with dynamic fields’ information if required – we design and take your approval – necessary changes made based on your input – you give final approval – you provide campaign audience data, we schedule email campaign based on your choice – real time reporting service give you update of your campaign and its success. Our friendly service executive assists you on each step leaving you free from worry campaign after campaign. Also ask for our email template design service for your periodic newsletter and save on recurring design cost. Classified Ad – Web Banner – Mobile Banner To remain in competition, most companies advertise through print ads, classified & banner ads on web, and mobile network ads. Since these ads act as a point of contact and highlight your company services and products, they must be attractive just like we produce at qZeek. Our professional service portfolio offers creation of ads, ad variations, auto ad renewals, ad bookmarking and monthly reporting. Our designs include accurate information about your business and your contact details, website and e-mail ids. On your approval of design, we target your potential audience by either category or by a localized region based on your choice. As a result, your business will witness an increased visibility through our ad posting services. Back office – Virtual assistance Back office team at qZeek is skilled at periodic need of web search, data mining & analysis, and website content update. qZeek also delivers services like order entry on network or web application, Image-to-text conversion, keyboarding services, data archiving in batch for future use, document conversion and data conversion as per specification. You may also like to assign file conversion for formats like CDR, PDF, INDD, AI, PSD, XML, PDF, HTML, SGML, DOC, MS Excel, etc. We have also served on file extension/type changes, batch file renaming, image resolutions controlling, file versioning and archiving. Do not hesitate to ask for any back office work and you will see a quality and cost effective solution at your door step from qZeek. Place a no obligation quote request now to optimize your business processes.